Sign up for the Metro Newsletter! You have always wanted to explain the unexplainable. To understand the powerful forces that rule the earth. To tame the beast that oversees all things. Of course, having the power to burn someone by making a gesture wouldn't hurt. 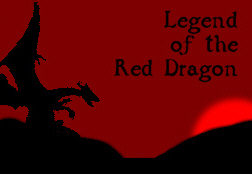 If you're a magic user, a thief or a warrior, then you need to be the first to defeat the legendary Red Dragon and impress all your friends. Live the legend, slay the dragon, play LORD now!